This certification program was sponsored in partnership with the APTi eChapter. We will be offering this program again in 2017! Does any of this sound familiar? Does it raise any concerns? If this does sound familiar… if this does raise concerns, you are not alone. Misinterpretations, misuses of the MBTI® and generally “bad type” have led to heightened criticism of the Indicator and, exacerbated by the internet, expansive criticism of the field of type in general. Much of this is caused by inexperienced and insufficiently trained practitioners, and / or a lack of attention to clear and disciplined standards for excellence. The Association for Psychological Type International is “… a global membership organization committed to advancing the responsible, constructive and ethical use of personality type through education, training, research, networking and community.” We are committed to leading the ethical and excellent use of type throughout the world. Last year, we released “Practical Applications of our Best in Class Standards;” ten clear guidelines designed to help practitioners keep more disciplined standards alive in their work. This year we intend to bring those standards to life with a learning program. This learning program has several modules that tell the story of a consultant, hired by a human resources professional to help strengthen the type dynamics of the executive leadership team of a business. It is based on real live experiences, and highlights a comprehensive set of challenges that type practitioners face throughout their careers. Each module is followed by a knowledge check to ensure that the content is thoroughly understood. We hope you participate in this program. We are sure you will find it worthwhile. But, more importantly, we ask you to join us in making our “Practical Applications of our Best in Class Standards” come alive. Maryanne DiMarzo, co-founder and Managing Partner of Beacon People Solutions, LLC, a consulting firm dedicated to the development of leaders and organizations (www.maryanneandamy.com). Started in 2007, Beacon People Solution’s clients include individual executives and teams within start-ups, Fortune 500 companies, non-profit boards and Executive Search Firms. The firm’s current offerings include leadership/executive assessment and coaching; team coaching and development; Myers Briggs Type Indicator (MBTI) Step I & II Instrument administration, validation and interpretation and Human Resources strategy. Built on a philosophy of producing results that impact the business, Beacon People Solutions offers highly customized solutions to meet their customers’ needs. Maryanne is a current board member and serving as immediate Past President for the Association of Psychological Type International (APTi : www.aptinternational.org) – a professional membership organization that promotes the practical application, ethical and responsible use of personality type. A member of the APTi Board of Directors since 2013, Maryanne served her first year as co-Director of Training. Maryanne’s background includes 14 years’ experience in the area of human resources leadership. Throughout her career, Maryanne has practiced the full complement of generalist functions, including human resources strategy, human capital planning, executive compensation, executive and board staffing, succession planning, leadership development and labor strategy and negotiation. Maryanne has extensive experience and demonstrated success leading major organizational transformation. She has held HR leadership positions with Nortel (sales and service) and Allied Signal (corporate functions). Maryanne began her career in 1976 as adjunct professor of Behavioral Science at Westchester Community College, New York, and Social Science teacher at Briarcliff High School. In 1984, DiMarzo was appointed Dean of Pace University, Westchester Campuses, New York where she administered the personnel services division and directed each of the four campus operations. Prior to Maryanne’s retirement from corporate human resources in 2006, she was Avaya’s Senior Vice President, Human Resources. She held that role from 2000 when Avaya officially “spun” from Lucent Technologies and became a public company. During her tenure at Avaya, Maryanne was a member of the Compensation Committee of the Avaya Board of Directors and was responsible for employee compensation and benefits, workforce/labor relations, organizational and leadership development, recruitment and training, internal communications and executive services. Maryanne holds a Master’s degree in teaching from Manhattanville College, Purchase, New York, and a Bachelor’s degree in psychology from Rosemont College, PA.
As Managing Partner of Beacon People Solutions, LLC, Maryanne remains interested in and committed to helping organizations, their executives, leadership teams and board members not only grow their human capital but their businesses as well. Maryanne is a certified MBTI Master Practitioner. 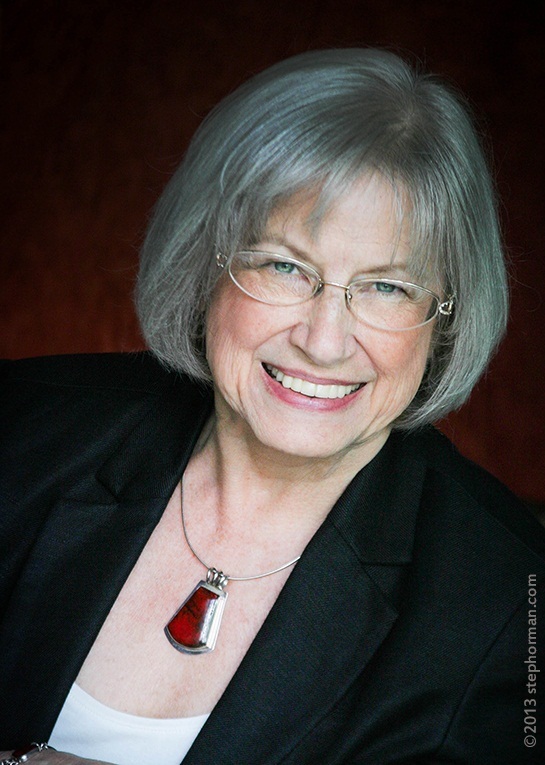 Linda V. Berens, Ph.D. is an internationally recognized author, organizational consultant, and leading personality type theorist. Known as the type consultant’s consultant, she has over 35 years experience helping individuals, teams, and organizations reach their potential. 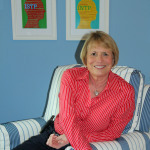 In addition to her experience qualifying thousands of coaches and practitioners to use the Myer-Briggs Type Indicator® (MBTI®) instrument and providing training in advanced applications of the works of Carl Jung, Isabel Myers, and David Keirsey, she developed the innovative and transformational Berens CORE™ Approach to facilitating self-leadership, leadership, and teamwork. Linda is the author or co-author of multiple books and training materials and developer of the Interaction Style personality lens. In 2011 she received the Association for Psychological Type-International Award for Innovations in Theory and Applications of Psychological Type and 2015, she was the namesake and the recipient of the "Linda Berens Award" and was awarded in recognition of her outstanding contributions and for personifying the standards that serve as a beacon, lighting and enlightening our journey toward type expertise." In 2013, she was invited to be a co-founder and designer of Matrix Insights, an innovative software platform that helps individuals, teams, and organizations develop to their full potential.